Add extra writing space to your planner. 24 sheets per pad; two pads per package. 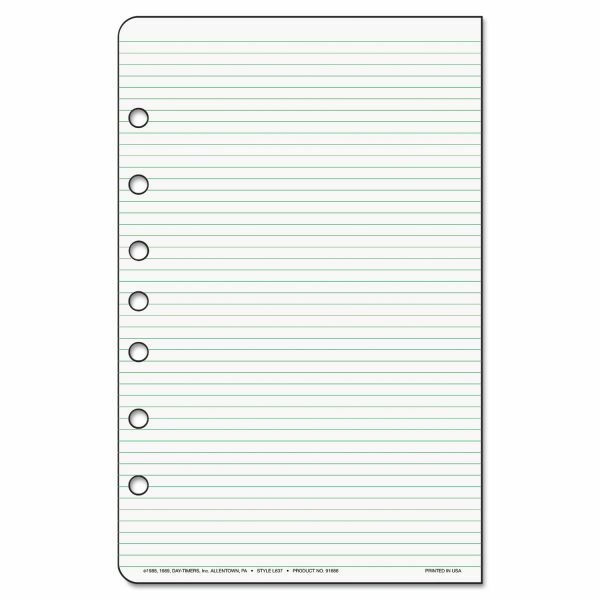 Lined pages feature narrow spaced rules to keep everything neat and provide the most lines per sheet. 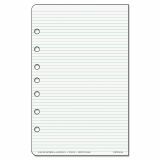 Day-Timer Lined Pages, 5 1/2 x 8 1/2 - Add-in sheets for Day-Timer organizers are multipurpose, ruled pages. Use them for meeting notes, project data, lists, memos, or anything else. Lines are narrowly spaced so each page can hold lots of notes. Sheets are hole-punched to easily slide into Day-Timer binders.